"In The Name of Democracy" is a feature documentary, narrated by Eli Wallach, about the court martial of Lt. Ehren Watada, the first officer in the US Army to refuse to deploy to Iraq whose case resulted in a mistrial and a dishonorable discharge. The film delves into the lead up to the US entry into the Iraq war, and features Lt. Watada, Col. Ann Wright and Gen. Wesley Clark. The film asks important questions about American policy in Iraq and Afghanistan. "Zahira's Peace" is a feature documentary that tells the courageous story of Zahira, a young woman gravely injured on March 11, 2004 in the Atocha train station bombing in Madrid, which killed 191 people and injured 2,051 against the backdrop of the political changes that took place in Spain following those tragic events. "Code Yellow: Hospital at Ground Zero", a feature documentary produced in association with N.Y.U. Downtown Hospital, narrated by Brian Dennehy, tells the story of the medical response of the hospital closest to Ground Zero on 9/11. 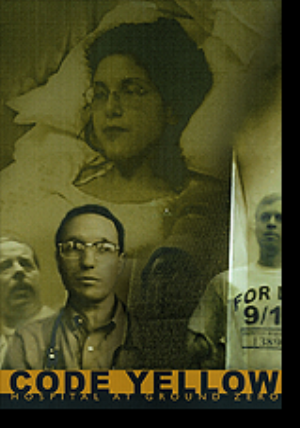 The film follows the story of three patients gravely injured in the attack and interviews doctors, nurses, engineers and maintenance workers, to paint a dramatic portrait of the medical response to the events of 9/11. “Unintended Consequences” is a documentary short focusing on the draconian impact of the Rockefeller Mandatory Minimum Drug Laws on families and communities in New York City by following a group called The Mothers of the New York Disappeared and former inmate, Terrence Stevens, who from childhood was paralyzed from the neck down and who served 9 years of a fifteen-to-life sentence before being granted clemency. The film was produced in association with the Drug Policy Institute, who spearheaded the campaign to bring about changes to the Rockefeller Mandatory Minimum Drug Laws. Twin Lenses is a feature documentary highlighting the careers of pioneering fashion photographers and twin sisters Frances McLaughlin Gill (the first woman photographer on the staff of Vogue) and Kathryn Abbe, both of whom worked in the glamorous world of fashion and editorial photography in NYC during the nineteen forties and fifties. 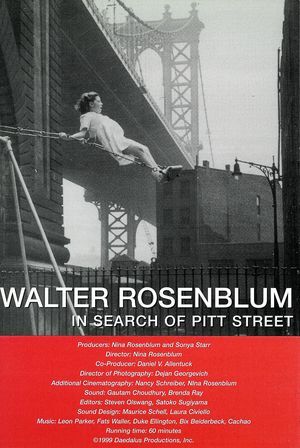 An hour-long documentary exploring the life and career of the filmmaker’s father—world- renowned photographer and teacher Walter Rosenblum, whose photographed the Lower East Side, the D-Day landings on Omaha Beach, Exiled Spanish refugees, Haiti, Spanish Harlem and the South Bronx. Rosenblum’s photographs are in the collections of major museums around the world, and he is the recipient of the ICP Lifetime Achievement Infinity Award. A HISTORY OF WOMEN PHOTOGRAPHERS is a fifteen minute educational short installed in four venues (NYPL, Akron Art Museum, the National Museum for Women in the Arts, Washington, DC, and the Santa Barbara Museum) in conjunction with a traveling museum exhibition curated by Naomi Rosenblum and Barbara Tannenbaum based on photographic historian Naomi Rosenblum’s book A HISTORY OF WOMEN PHOTOGRAPHERS. "Slave Ship: The Testimony of the Henrietta Marie" is a documentary short commissioned for installation in a traveling exhibition: THE WRECK OF THE HENRIETTA MARIE, about the oldest slave ship wreck (1699) found off the coast of the U.S. featuring Dr. Cornel West of Harvard University. Filmed during a span of 80 days over three years, LOCK-UP: THE PRISONERS OF RIKERS ISLAND provides an unblinking glimpse of life inside the world’s largest jail and the prisoners and guards who inhabit it. The film follows the stories of AIDS victim James Mirabel, who was born in a prison and later died in one, and Nancy Figuerora hospital ward. This powerful film reveals the shameless degradation and terrifying inferno that is Rikers Island. Narrated by Danny Glover, The Untold West: The Black West is episode two of a three- part TBS series entitled The Untold West. This episode salutes the achievements of a handful of nearly- forgotten African-American cowboys and frontiersmen who took part in the taming of the frontier. The stories and achievements of several larger than life heroes and heroines are portrayed through realistic re-enactments, among them Pony Express rider Mary Fields and Bill Pickett, bronco riding champion and one of the greatest rodeo performers of all time. Told through rare archival photographs, contemporary journals and diaries and the eyewitness recollections of singer Herb Jeffries, who starred in some of the earliest Black cowboy movies in Hollywood, the film provides a fascinating look at a little-known part of our country’s history. 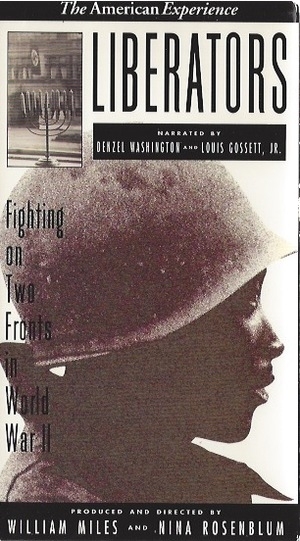 LIBERATORS: FIGHTING ON TWO FRONTS IN WWII examines the achievements of the all-Black 761st Tank Battalion, one of only a few segregated units (the Tuskegee airmen were another) to see combat in Europe during WWII. The film was broadcast nationally on PBS’ American Experience series and received an Academy Award Nomination for Best Feature Documentary and the L.I.N.K.S. Sojourner Truth Award. Narrator: Denzel Washington. Produced in association with Amnesty International, THROUGH THE WIRE examines a controversial, underground high security isolation unit located in the Federal prison in Lexington, Kentucky, built to house three female inmates convicted of politically-motivated crimes, and the international campaign to close the unit on humanitarian grounds. Narrated by Susan Sarandon, broadcast on PBS’ POV series. 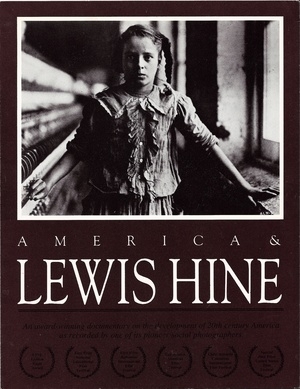 An award-winning feature documentary celebrating the life and work of pioneer social documentary photographer Lewis Wickes Hine, who documented immigration at Ellis Island, immigrant life on the Lower East Side, child labor throughout the United States, the construction of the Empire State Building, and the unsung working men and women who helped build America. Hine’s work helped establish child labor legislation and is today regarded as an imperishable part of our national heritage.